Forty years ago music executive Tony Martell was faced with a devastating diagnosis for his young son T.J. His son who was a victim of leukemia at the age of 19, asked his father to do whatever he could to find a cure. When T.J. unfortunately passed Tony devoted his life to keeping his promise to his son. Forty years ago The TJ Martell Foundation was created and has since gone on to support innovative research and medical treatments for leukemia, cancer and AIDs. Devoted to the memory of his son, Tony gathered music executive friends and medical experts and announced the formation of the T.J. Martell Foundation in 1975. Tony’s promise has far exceeded his initial promise to raise $1 million dollars to fight leukemia and the Foundation has provided over $270 million dollars to support innovative medical research in fighting these diseases. The Foundation has made phenomenal advances in treatments for gastric cancer, sarcoma cancer, prostate cancer, neuroblastoma in children, leukemia, AIDs, breast cancer, HIV related cancers, lung cancer and others. Since the foundation’s beginning musical artists and industry executives have supported Tony’s vision. Stars like Tony Bennett, Barbra Streisand, Sting, Sheryl Crow, Justin Timberlake, Stevie Wonder, John Legend, and many others along with industry decision makers like Clive Davis, Monte and Avery Lipman, Mel Karmazin, Tom Corson, Irving Azoff, Rick Krim, Kid Leo, the late Frances Preston, John Sykes and others have stood by the man with a promise in the fight to cure cancer and AIDS. The T.J. Martell Foundation’s contributions to medical research and their encouragement of scientists to leverage funds with other larger funding sources has resulted in more than $1 billion dollars in additional research funding and alliances with the National Institute of Health and the National Cancer Institute. Current research facilities funded by The T.J. Martell Foundation include Mount Sinai School of Medicine, Memorial Sloan-Kettering Cancer Center, Columbia-Presbyterian Cancer Center, Vanderbilt-Ingram Cancer Center, Children's Hospital Los Angeles, Winship Cancer Institute at Emory University, Mayo Clinic, Harvard School of Public Health and the University of Texas MD Anderson Cancer Center. “It has been many years since the $1 million dollar mark was achieved — but for my beloved son T.J., and for everyone else who has undergone the experience of cancer, leukemia, or AIDS, I pledge that the T.J. Martell Foundation will not rest until a true cure is discovered,” said Founder and CEO, Tony Martell. The 40th Anniversary T.J. Martell Foundation Annual Honors Gala will take place in New York on Thursday, October 15, 2015. The theme of this highly anticipated event is “Top 40” and will be hosted by original MTV VJs Mark Goodman, Alan Hunter and Nina Blackwood. It will bring together celebrities from entertainment and music for a star-studded celebration at Cipriani on Wall Street. Honorees include John Amato, Co-President of Guggenheim Media’s Entertainment Group, Bruce Bozzi, Sr., Co-Founder and Co-Owner of The Palm Restaurants and Palm Restaurant Group, Wally Ganzi, Co-Founder and Co-Owner of The Palm Restaurants and Palm Restaurant Group, Janice Min, Co-President and Chief Creative Officer, Guggenheim Media’s Entertainment Group, Dinesh Paliwal, Chairman, President and CEO of HARMAN International and John Varvatos, Chairman of John Varvatos and President and CEO of John Varvatos Records. In recognition of further research and medical treatments the Foundation will also announce the newly created Clive Davis Research Fellow Award, an annual grant bestowed upon a young investigator who has made innovative strides and extensive research in cancer or AIDS. Other 40th Anniversary programs will include “Music to Beat Cancer,” a program led by Brian Kaplan, an entertainment attorney who at the age of 52 was diagnosed with leukemia (AML) in December of 2012. Now in full remission, Brian wants to help cancer patients get through the tough times by connecting to something positive: Music. London based visual artist Tim Wakefield will create Soundwaves Artworks for the benefit of the T.J. Martell Foundation. CharityBuzz has teamed up with the T.J. Martell Foundation to offer an exciting online 40th Anniversary online auction of items and music experiences that are not only one-of-a-kind but “money can’t buy” opportunities to be bid on. “Candles for Cancer” will be a campaign celebrating survivors of cancers and bring to light their inspirational stories. The T.J. Martell Foundation will partner with world renowned Julien’s Auctions for the Celebrity Purse Auction. The Women of Influence Awards and Luncheon will take place in New York and Los Angeles once again, bringing together distinguished businesswomen and leaders. Other anniversary programs include The 2nd Annual Chad Brown Memorial Poker Tournament at Planet Hollywood in Las Vegas on July 2nd, an extensive partnership with Banded whereas a percentage of website sales of the stylish headband will benefit the Foundation and a partnership with The Hard Rock International Corporation for an Artist Spotlight campaign and associated sale of top musician’s merchandise at the Hard Rock Cafe locations worldwide. The Joel A. Katz Music is Medicine Fund will provide dedicated cancer research for Melanoma, Leukemia and other blood related cancers at the Winship Cancer Institute at Emory University School of Medicine. 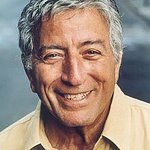 For the first time in any hospital, a music wall will be created that will give patients and hospital visitors the opportunity to see music history represented in the form of platinum record plaques and other music memorabilia from the personal collection of global entertainment attorney Joel A. Katz. In addition a full program experimenting with music’s effects on lessening pain for patients undergoing chemotherapy and other cancer related treatments will be commenced and vetted by the Medicine Fund at the Winship Cancer Institute at Emory University School of Medicine. The 40th Anniversary of the T.J. Martell Foundation is a tribute to the young man named T.J. and his father Tony who made a promise, kept it and saved thousands of lives along the way. Find out more here.